Joseph Breadon was the son of Thomas and Mary Breadon, of Alderwood, Fivemiletown, Co. Tyrone, Ireland. He was born on 8th November 1891 in Fivemiletown. The 1911 census records Joseph as 19, working on his father’s farm at Alderwood, Fivemiletown. Joseph Breadon emigrated to Canada. 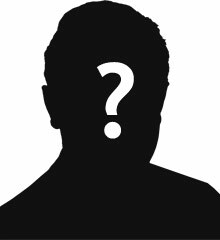 He worked as a grocery clerk. Joseph enlisted on 23 July 1915 in Toronto. He was 24 and single. Private Joseph Breadon was served with the 58th Battalion of the Canadian Infantry and saw service in Europe. 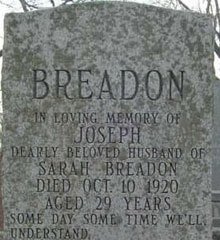 Joseph had married Sarah Breadon by the time of his death.Joseph died after the war of related injuries/illness on the 10th October 1920, aged 29. Grave Ref: Range 2. Sec. 8. Lot 3.